Following 4 years as naming rights and major sponsor of NRS team mobius Bridgelane, we say goodbye to this chapter of our relationship with the sport of cycling in Australia. When team manager and owner Tom Petty came to us in 2015 and articulated his vision for the team we were taken by his enthusiasm and vision for what the team could do, and most importantly the pathway it would provide for young aspiring elite cyclists in Australia. The team’s achievements in the first 3 years exceeded most expectations with second and third place finishes on the NRS teams GC in 2016 and 2017, a quite exceptional result. 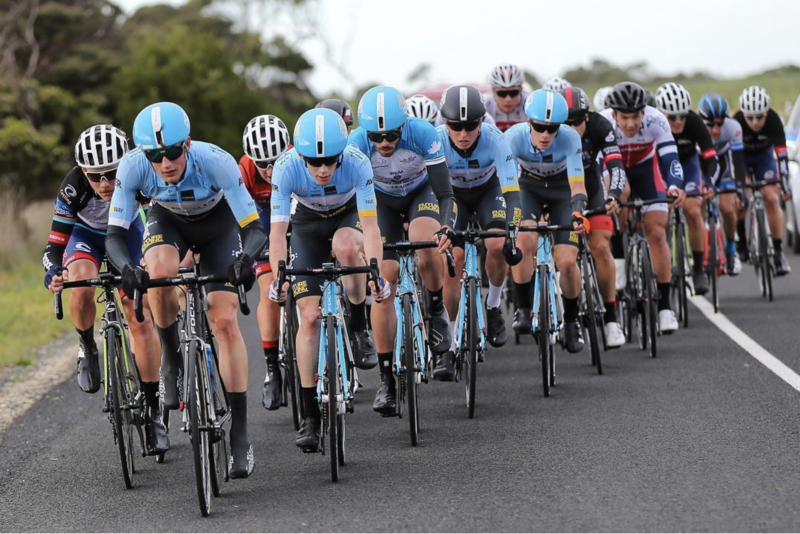 There were many outstanding team and individual results along the way, such as winning the teams GC at the Tour of Margaret River and the Tour of Gippsland. Our successes across the board saw us gain stature both within the NRS peloton as well as within the Australian cycling community, and culminated in us being invited to this year’s Tour of Utah in the USA, a Pro Continental level race where our team finished mid field on the teams classification. This followed our invitation to this year’s Jayco Herald Sun Tour where young climber Alex Evans finished a memorable second to UCI Pro Tour rider Esteban Chavez on the brutal Stage 3 and drew the attention of Team BMC, securing a spot on their roster for the last part of the 2018 season as a stagiaire. We would like to congratulate all the riders who rode for mobius Future Racing and mobius Bridgelane during this time and what they achieved – we will always be proud of the contribution we made to them chasing their passion in what is an astonishingly tough, but beautiful sport. Jane and Guy.